Running a business is hard work, and so is making sure that your business remains a pest free environment. Rather than devoting your time 50 percent on the business side, and 50 percent cleaning and removing pests, give us a call at Earthwise Pest Management, and we will do it for you. You focus on your business, and we will focus on the rest. Here is a list of why we think that you would benefit from our professionally licensed commercial pest control services. You may be professional at running a business, but you’re probably not a professional exterminator. Luckily, we are. While you worry about your business, we will send our licensed pest control professionals to your commercial property, and our team members will both remove the current infestations and ensure there will be no immediate future infestations. We will save you time and money. If you were to try and treat your own commercial property, you’d have to research what chemicals to buy and learn how to use them. In that amount of time alone we can be in and out of your building and your business can resume operations like we were never there. Our chemicals are more efficient. Our chemicals require licensing and training because of their strength. The chemicals that you can buy in the store are not as strong, and often only treat half of the problems. Most store-bought chemicals are made for preventative purposes, so if you already have an infestation, it is unlikely that those chemicals will work. We have a plan. When you hire our commercial pest control service you are hiring our professionally licensed exterminators, but you’re also paying for the service plan that we have created using years of experience. We know what problems to look for, how to find the root of the problem, and how to address and exterminate the problem. We use integrated pest management techniques (IPM) that ensure that pests will not return. With our IPM techniques, we can promise you that over time you will be able to use fewer pesticides and see fewer pests. So Why Earthwise Pest Management? We understand, your business comes first. That’s why we want you to worry about your business and leave the rest to us. Whether you own a coffee stand, a hotel, a gym, a restaurant, offices or anything in between, we can take care if it for you. We can even set up treatment programs, where we can make a schedule with you for us to come by monthly, bimonthly, or quarterly. 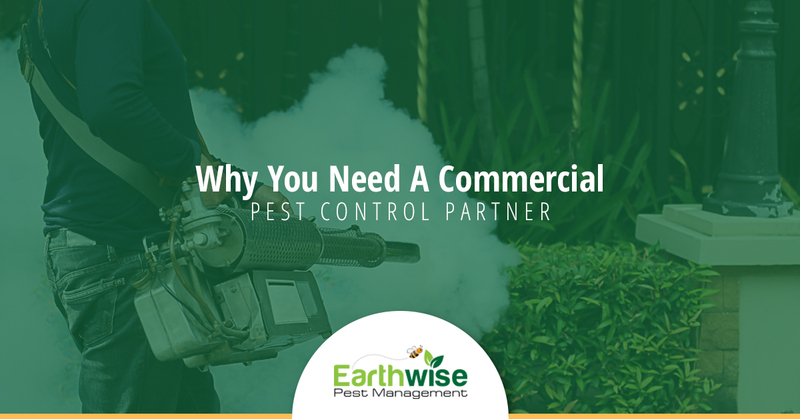 At Earthwise Pest Management we offer the best commercial pest control services in the Sacramento area, and we would be more than happy to take care of your pest control needs. Contact us today for pest control prices, a free quote, or to ask us any questions that you may have. Thank you for tuning in to our Earthwise Pest Management blog, we can’t wait to do business with you.